Here’s a revelation for you; Jesus Christ is the Rock or foundation stone of the church an is upon the Rock of Yahweh where he was originally placed. But Yahweh is the Rock of what? She is the FOUNDATION ROCK that all else, including Christ rests upon. Christ is prototyped as the Great Pyramid, and his foundation rests on how many balls and sockets per corner (that’s important) beneath the Pyramid? Yahweh is what is beneath; no other pyramid has balls and sockets at the corners. Being 4 sides that the Pyramid rises up with, that equals 4 squared for a Just and Righteous Creation. When wickedness rises its head in creation, the balls of Yahweh’s sockets tilt out of balance; therefore, to get the Pyramid – the Creation – back into balance, it requires that Justice be 4 Squared for that to happen. This is to better help all of you to understand the concept behind “4 Squared for Justice.” Go here and read about the Great Pyramid in Scripture. It has withstood the elements of time for a purpose. It stands as a SIGN at the border. 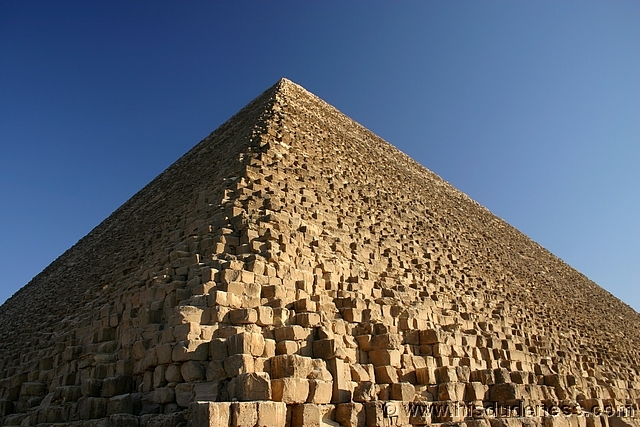 The Great Pyramid sits dead center of the earth’s land mass. The math is so high tech, it reveals the Author could only be Yahweh as the Great Mathematician. The Cap Stone’s rejection, revealed the rejection by mankind of Jesus as the Messiah whom caps off creation from the bottom up to the peak or apex. All rests on him, through him, and all was created for him. The rejection (that rejection by the fleshly Jews, Yahweh’s original possession or people in ancient times when Christ was in human form) symbolized the rejection of the Great Pyramid’s cap stone. What other things does Dawn copy that Mother has used in the past? Deuteronomy 6:8 “Bind them as a sign on your hand and let them be a symbol on your forehead.” Dawn uses the mark of the beast – 666. If Yahweh utilizes evil for Her purpose from within the holy family, does that make that evil which serves Her, less than a family member? This entry was posted in Foundation, Pyramid of Giza, Yahweh and tagged Foundation Rock, Pyramid of Giza, Yahweh. Bookmark the permalink.